The scheme’s success over the past year demonstrates the core role it continues to play in encouraging new cyclists, in ever greater numbers, to commute to work by bike. The increased profile of cycling in recent times, catalysed initially by the 2012 Olympics and given greater exposure by the work of the All-Party Parliamentary Cycling Group’s Get Britain Cycling report, has generated interest among commuters in getting back on their bikes. With Yorkshire set to host a leg of this year’s Tour de France, this trend looks set to continue. Of course, no-one should be resting on their laurels. 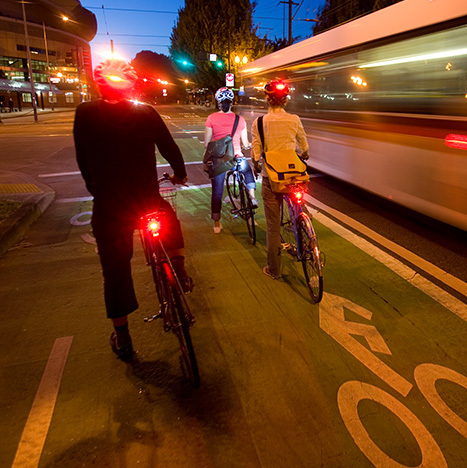 This is merely the start of what we hope will be a longer-term cycling boom. With only 2% of journeys in the UK made by bike, clearly there is scope to encourage more individuals to take-up cycling, not least to bring our rates of cycling in line with other European countries. In order to achieve this, Government and the industry will need to work together to increase safety and investment in cycling to make getting on the saddle a simple choice”.